The trade comes days after Vikings general manager Rick Spielman told the media the team wouldn’t give away a high draft pick in exchange for Bridgewater’s replacement, after the third-year signal caller suffered a season-ending torn ACL and dislocated knee. 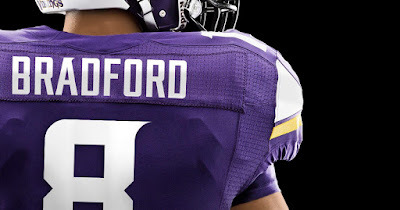 The sudden change of heart suggests the higher-ups at Minnesota feel the window is closing on the team’s chances of winning a Super Bowl with 31-year-old Adrian Peterson in the backfield, and with the team moving into a new stadium this year, they couldn’t afford to give up on the chance of a successful season in spite of Bridgewater’s injury. The Vikings will take over the remaining two years of the contract Bradford had with the Eagles, who will pay his $11 million signing bonus this year, while the Vikings will pay him $7 million for the season. If Bridgewater makes a full recovery, the Vikings can save $4 million by cutting Bradford before his signing bonus is due in March, but if not, they’ll still have a decent passer and time to find a long-term replacement. However, there’s no guarantee that Bradford will start the Vikings’ week 1 game at the Tennessee Titans due to his unfamiliarity with offensive coordinator Norv Turner’s playbook, and if he does, that playbook may have to be stripped back and simplified. Not to mention the fact that Bradford’s career passer rating is lower than that of current Vikings backup QB Shaun Hill. However, he does have history with Vikings tight ends coach Pat Shurmur, who was the OC at the St Louis Rams in Bradford’s rookie year and with the Eagles last season. 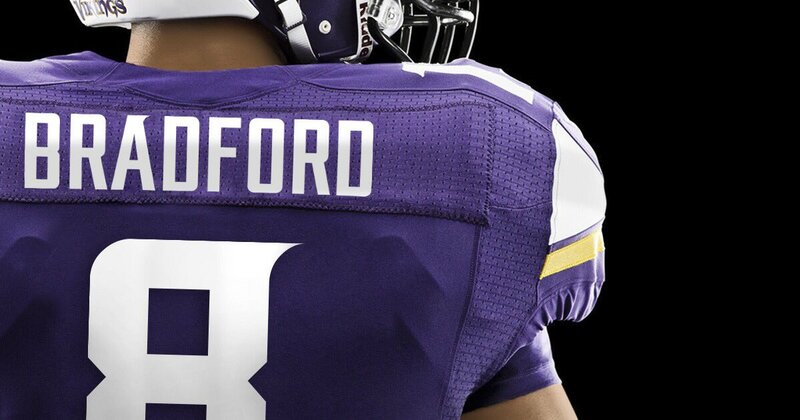 Bradford also has history with Vikings running back Adrian Peterson; the pair played together for the Oklahoma Sooners in Bradford's freshman year in college, when Peterson was a junior. Meanwhile, Bradford’s departure from the Eagles leaves the path clear for rookie Carson Wentz to be named as the team’s starting QB as soon as he recovers from the hairline rib fracture he suffered in their preseason opener against the Tampa Bay Buccaneers. Chase Daniel will act as Wentz’s backup. If nothing else can be said of this trade, at least the Eagles will now have a first round pick next year when the draft comes to Philadelphia.